It only comes around once a year, so it is well worth taking this opportunity to ride past many of central London's most famous landmarks on traffic-free roads. 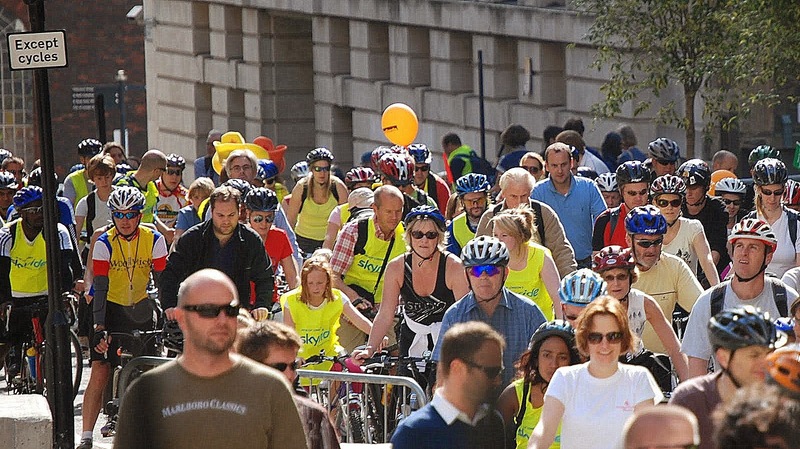 Unfortunately, you'll be joined by tens of thousands of other cyclists on the route from Buckingham Palace along the Mall, which then skirts Trafalgar Square before swooping down Northumberland Avenue to the Victoria Embankment. It is tempting to watch the cruise boats on the river, but you'll need to keep your eyes trained on the kids swerving around in front of you and the human traffic-lights who frequently raise their stop signs to let pedestrians cross the road. A mile or so downstream, the route turns up to St. Paul's Cathedral, before looping through part of the City, where the mass of cyclists thins out a little. You pass an enthusiastic band of drummers as you enter the "noise zone" inside the Upper Thames Street Tunnel where all the cyclists ring their bells and shout - a lot of fun. Then you head to the Tower of London where you do a sharp turn into the return trip directly along the river, making for a 15 kilometer round trip. 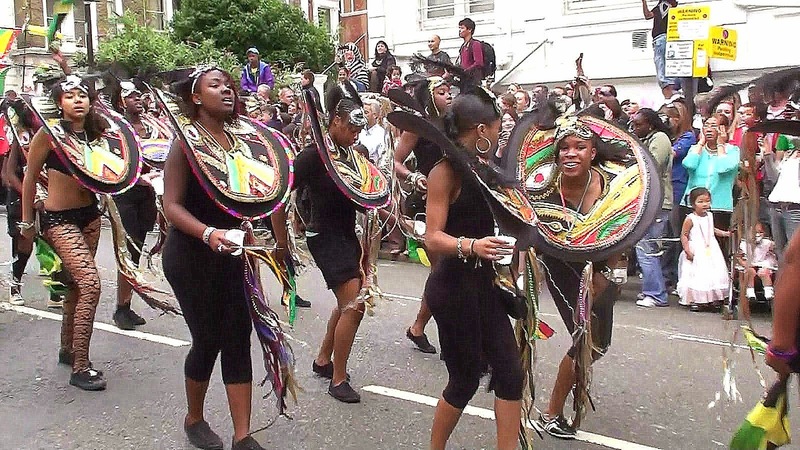 An enormous Caribbean festival held every August bank holiday in streets lined with beautiful Regency and Georgian mansion blocks, interspersed with arty shops, cafes and the occasional brutal council estate, Notting Hill Carnival is surreal, absorbing and overwhelming. Even on the more laid-back, less-crowded and child-orientated Sunday, this swanky suburb is awash with party animals blowing whistles, swigging beer and inhaling the odd joint. 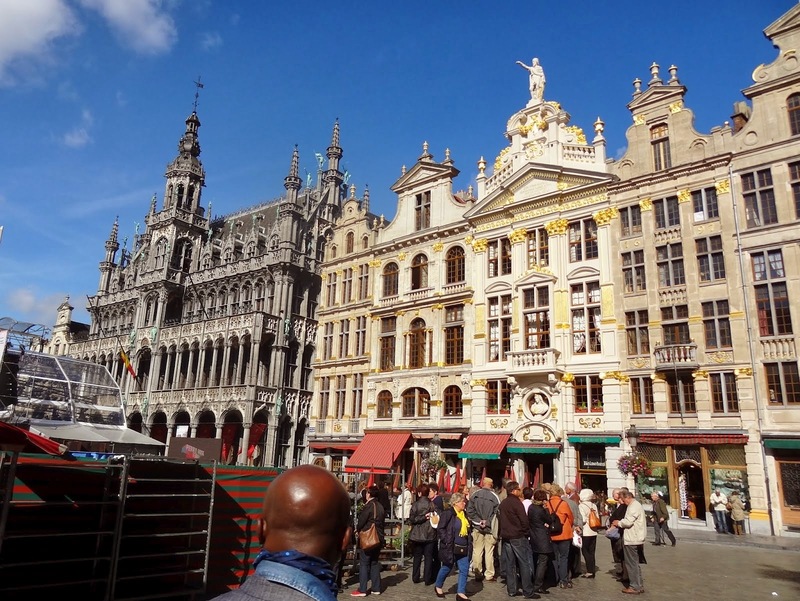 In amongst the gangs of teenagers and twentysomethings, you'll spot groups of bemused tourists, a few families and even the odd haggle of pensioners without their hearing aids. Get to Notting Hill before noon if you want to secure a front-row spot to watch the parade of decorated floats, fantastical costumes, towering puppets, throbbing sound systems and charismatic MCs that edge along the mile-long route, which encloses a grid of streets dotted with scores of sound systems, food stalls and Red Stripe vendors. As the floats pass, the music can be loud enough to make your rib cage vibrate. This memorable, and sometimes magical, parade is marred only by the mundane support lorries and the scarcity of steel bands - the original Carnival soundtrack.